The rumor was that Ingles won’t be offering sponsorship of downtown Asheville’s Fourth of July festivities this year. But that rumor isn’t true, according to a spokesman for the Asheville-based grocery store chain. Ron Freeman said Ingles will indeed sponsor the event again this year. According to the rumors floating about, Ingles wasn’t planning to do the sponsorship in reaction to the city’s recent decision regarding selling naming rights for the Asheville Civic Center. Last last year, the city agreed to sell the naming rights of the center to U.S. Cellular for $810,000 over five years. (The cash can go up to $1.3 million if the city extends the deal for three more years.) But the city came under criticism for announcing its decision with no public input. Some of that criticism came from Ingles officials, who said they would have been interested in bidding. 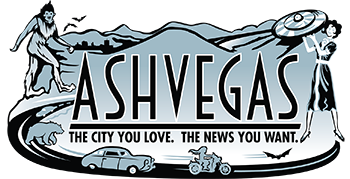 Asheville City Council went back and asked for any new offers. When none came, including no offer from Ingles, U.S. Cellular got the deal. The new sign should be going up in a month or so. Last year’s July Fourth celebration, sponsored by Ingles, was held at Memorial Stadium on Sunday, July 3. New safety regulations forced the event to be moved from downtown. It included food vendors, music and activities for kids and families. There was also a big fireworks display. Last year, officials said they would look to move the event back to Pack Square in downtown. Image link for fireworks image.